Floyd Mayweather, Jr. (born Floyd Joy Sinclair; February 24, 1977) is an American professional boxer, currently undefeated as a professional. He is a five-division world champion, having won eight world titles and the lineal championship in three different weight classes. 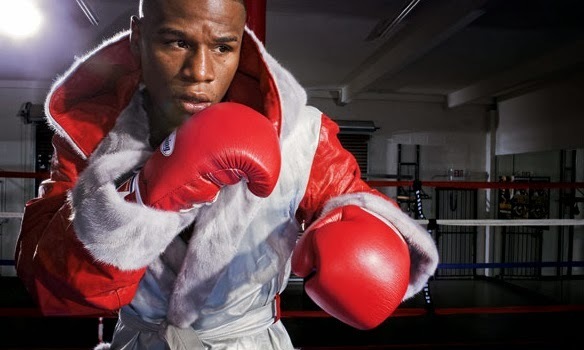 Mayweather is a two-time Ring magazine Fighter of the Year (winning the award in 1998 and 2007); he also won the Boxing Writers Association of America (BWAA) Fighter of the Year award in 2007 and the Best Fighter ESPY Award in 2007, 2008, 2010, 2012 and 2013. Mayweather is the WBC welterweight champion, WBA (Super) super welterweight champion, WBC Super welterweight champion, recipient of the WBC diamond super welterweight belt, current Ring #1 ranked welterweight, and Ring #1 ranked junior middleweight. 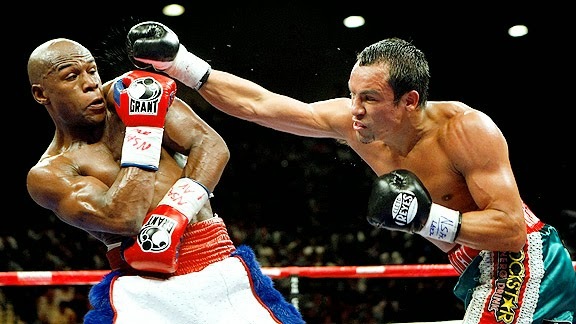 He is also rated as the best pound-for-pound boxer in the world by many sporting news and boxing websites, including Ring, Sports Illustrated, ESPN, BoxRec, Fox Sports, and Yahoo! Sports. Mayweather topped the Forbes and Sports Illustrated lists of the 50 highest-paid athletes of 2012 and 2013 currently making Mayweather the highest paid athlete in the world. 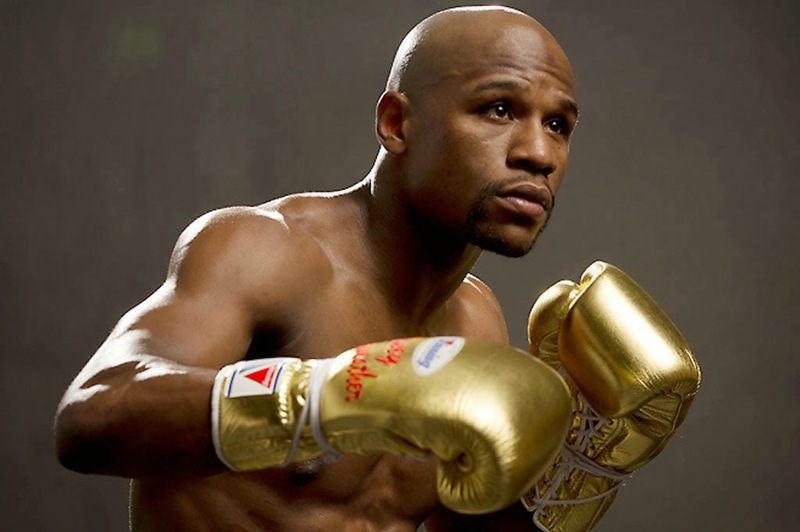 Mayweather was born in Grand Rapids, Michigan, on February 24, 1977, into a family of boxers. His father, Floyd Mayweather Sr., was a former welterweight contender who fought Hall of Famer Sugar Ray Leonard. His uncles (Jeff Mayweather and Roger Mayweather) were professional boxers, with Roger Floyd’s current trainer winning two world championships. Mayweather was born with his mother's last name, but his last name would change to Mayweather shortly thereafter. Boxing has been a part of Mayweather's life since his childhood and he never seriously considered any other profession. "I think my grandmother saw my potential first", Mayweather said. "When I was young, I told her 'I think I should get a job'. She said, 'No, just keep boxing'". "When I was about eight or nine, I lived in New Jersey with my mother and we were seven deep in one bedroom and sometimes we didn't have electricity", Mayweather said. "When people see what I have now, they have no idea of where I came from and how I didn't have anything growing up". Mayweather's father contends that Floyd is not telling the truth about their early relationship. 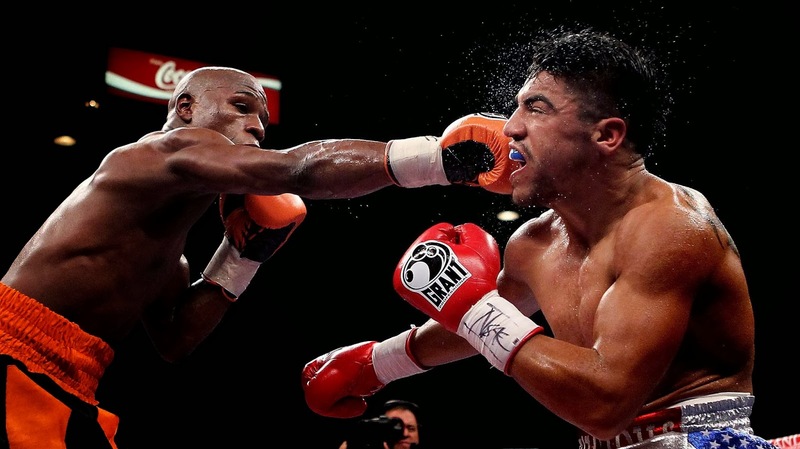 "Even though his daddy did sell drugs, I didn't deprive my son", the elder Mayweather says. "The drugs I sold, he was a part of it. He had plenty of food. He had the best clothes and I gave him money. He didn't want for anything. Anybody in Grand Rapids can tell you that I took care of my kids". Floyd senior says he did all of his hustling at night and spent his days with his son, taking him to the gym and training him to be a boxer. "If it wasn't for me he wouldn't be where he is today", he maintains.